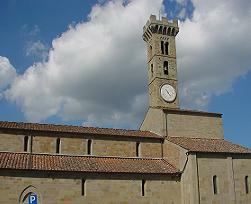 Begun in 1075, the church of the SS. 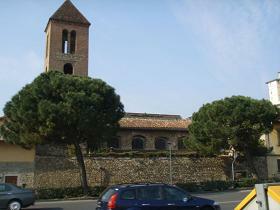 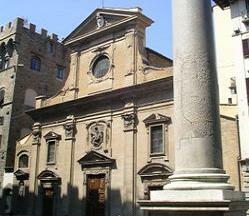 Apostoli was a prototype for many other Florentine churches with its archaic Roman forms. 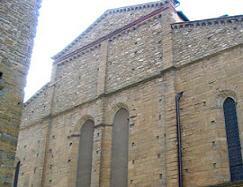 Even though it is of modest size, the building has considerable solemnity. 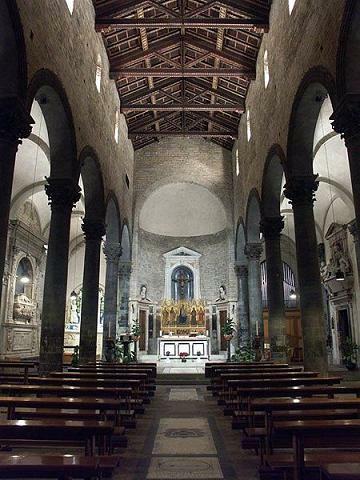 The interior is full of atmosphere with a fine painted timber shed roof on compound piers which articulate the church into three aisles. 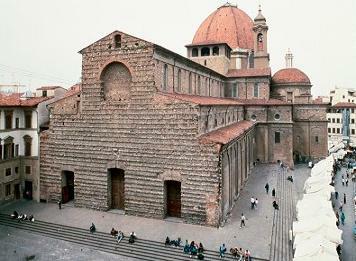 On the third altar of the right aisle is a panel with the Immaculate Conception by Giorgio Vasari (one of his best works). 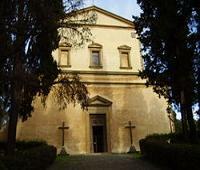 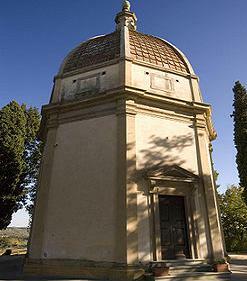 The apse contains the tomb of the archibishop Antonio Altoviti executed on design by G.B. 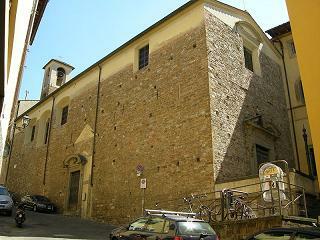 Dosio (1574). 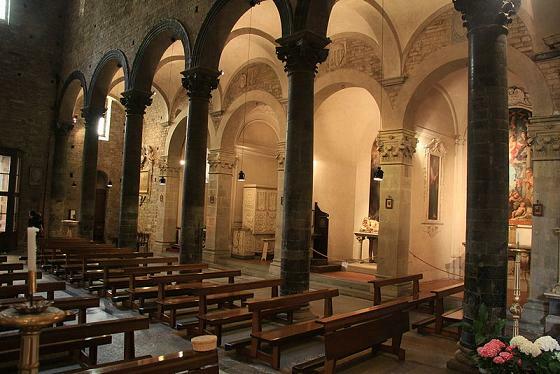 To be noted in the left aisle is a tabernacle by Andrea della Robbia, the tomb of Donato Acciaioli (1339) of Pisan school, and the tomb of Oddo Altoviti by Bernardo da Rovezzano (1507). 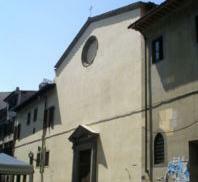 The church was built in the XI century,but was remodelled in the XV and XVI century and definitely restored in 1930-38. 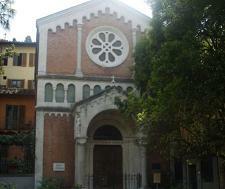 The facade is romanesqueportal,of the XVI century,is attributed to Benedetto da Rovezzano.A legend,written in latin on the left of the portal,says that the church was founded by Carlo Magno and consacrated by Archbishop Turpino,with Rolando and Oliviero as wittners. 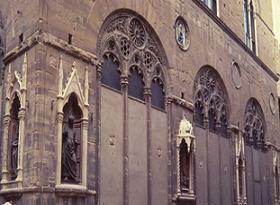 The interior conserves some side chapels of the XV and XVI century. 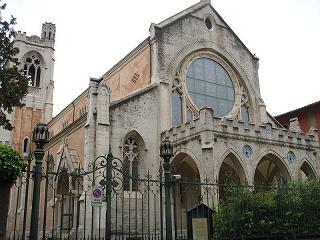 It has a nave and two aisles divided by green marble columns with capitals.The small windows on the upper part are romanesque At the far end of the church a beautiful semicircular apse. 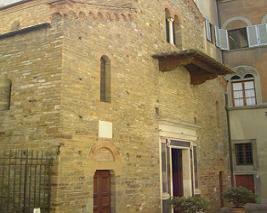 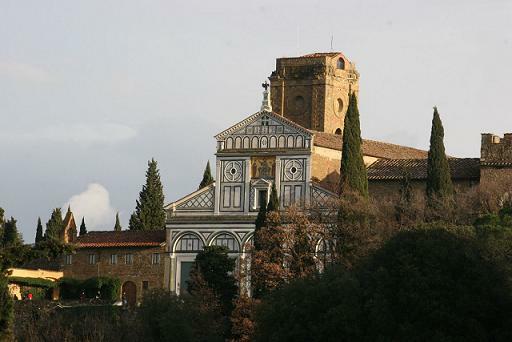 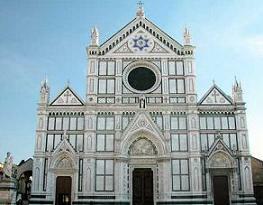 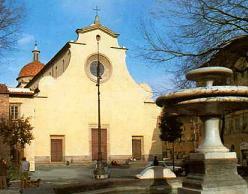 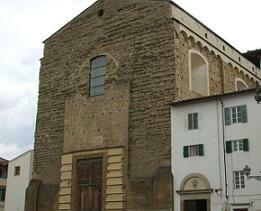 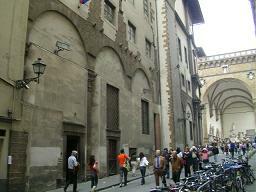 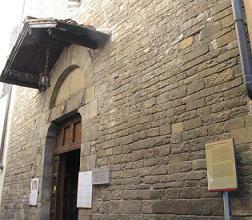 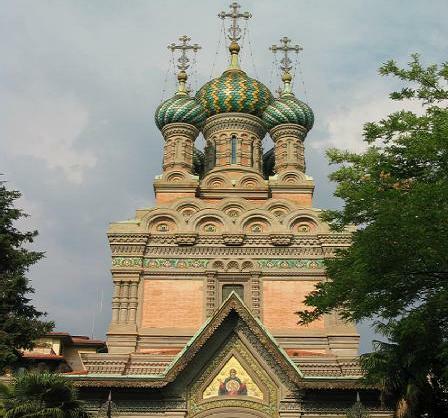 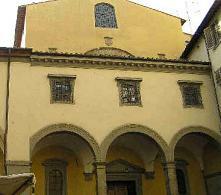 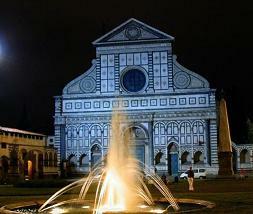 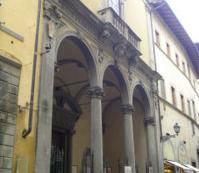 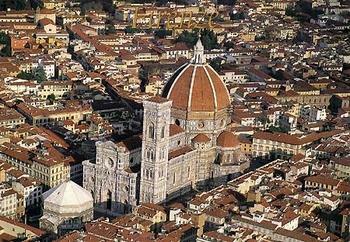 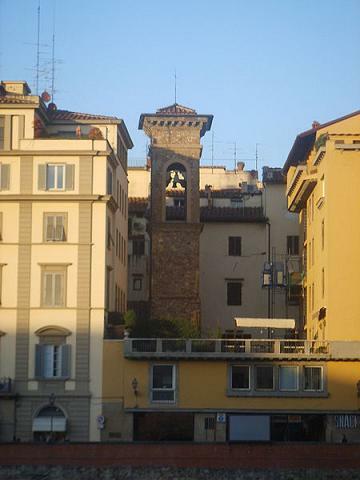 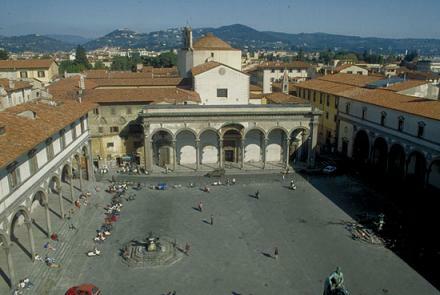 According to legend this, one of the oldest churches in Florence, was founded by Charlemagne. 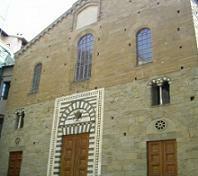 The Romanesque façade is a prelude to the somber interior where some of the architectural elements come from ancient Roman buildings.